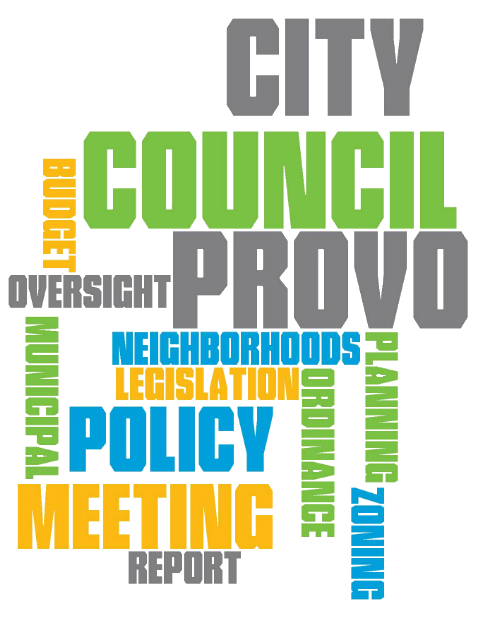 The inaugural session of the Provo People's Lobby has concluded and Jeff Swift, creator of the project, reported about the process to the Council. One of the student moderators joined Jeff to explain the ups and downs of this first attempt and outlined modifications that will be made to the process in the future. After submitting ideas and deliberating their merits, participants final proposal focused on three ideas aimed toward protecting agriculture and increasing green space in Provo. 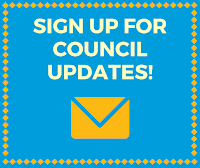 Council Member Hal Miller has been asked to work with the Sustainability Committee to determine the next steps for the Lobby's recommendations. 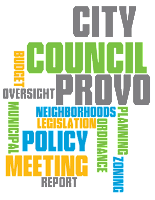 Another session of the Provo People's Lobby will begin around September and they will be looking for a new group of participants from across Provo. Discussed a proposed RAP Tax survey to be conducted by Quin Monson. The goal is to have survey results presented at the July 21 Work Meeting. Had a discussion on and approved the recommendations from the Council Budget Committee regarding guiding principles on user fees. Discussion on budget intent statements is continued to next month in order to allow for some additional work. Discussed the request for an amendment to reduce existing code conflicts and update parking design standards citywide. This will be formally heard at the July 21 meeting. Discussed a request for a text amendment in the Neighborhood Shopping Center Zone to reduce the acreage requirement for funeral homes to allow for a lot split at 4780 N University Ave. This will be formally heard at the July 21 meeting. Discussed a request to vacate three sections of public street right of way for the Energy Department campus rebuild in the North Park Neighborhood. This will be formally heard at the July 21 meeting. Wasatch Neighborhood residents submitted a petition to Council Member Kim Santiago requesting a permit parking program for their area to stem some of the issues related to on-street parking in the area. Santiago presented the proposal at the May 19, 2015, Work Session and the Council sent it to the Parking Committee for consideration. Recommendations from the Committee were presented at the Work Session earlier in the day and then discussed at the formal Council Meeting. Notices will be posted in the coming weeks about the public hearing which will be held on Tuesday, August 4, 2015, at the Council Meeting. Held a public hearing and passed (7-0) a request for a rezone for 2.64 acres in the North Park Neighborhood to facilitate the expansion of the Utah Valley Regional Medical Center. Held a public hearing and approved (5-2) a request to amend City Code to modify the front yard parking requirements for one-family residential dwellings citywide. Held a public hearing on an ordinance amending City Code section 14.34.285 (Residential Design Standards and Guidelines), striking certain recommendations for new multifamily buildings and allowing the Planning Commission to determine the proper location of certain lot entrances. Council Members approved (6-1) a motion to return this to the Planning Commission to develop a list of criteria. Discussed a request to amend City Code regarding driveway access and orientation of homes for corner lots located on collector and arterial streets citywide.